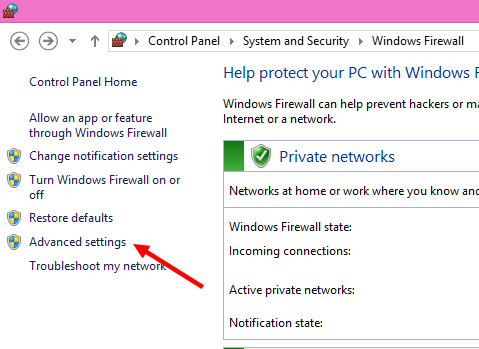 If you want to block any software in Windows OS to not to connect to the internet, you can block the network access. The reason could be anything. You do not have to install any extra third party application. But Windows Firewall settings will serve the purpose. 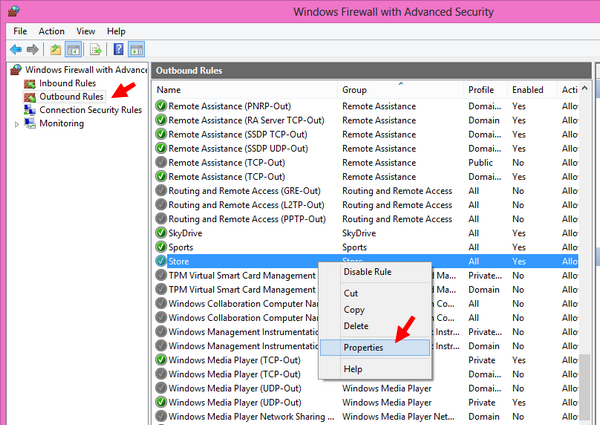 Go to Charms Bar >> Settings >> Control Panel >> System and Security >> Windows Firewall. Select Advanced Settings from the left options bar. It will open advanced settings window. Click on 'Oubound Rules' option in the left bar. It will give you a list of the executable applications / softwares those are currently allowed to access internet without asking for permission. Here you can change the settings as you want. The list includes only the applications that are installed from Windows Store and not the other desktop applications you have installed from other sources. To Block internet access to any particular application that is listed, just right click on the application name (In this case, it Store) and select 'Properties'. 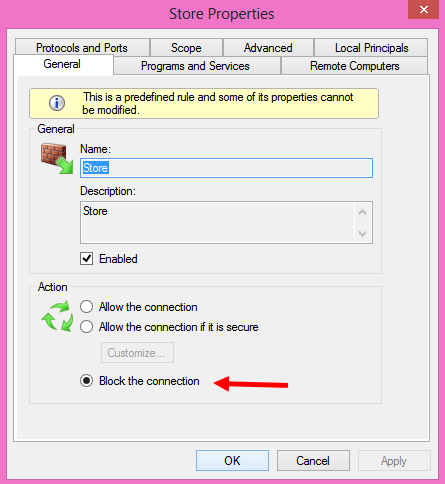 In the properties window, select 'Block the connection' option from 'Action' and apply the settings. Now try to connect the blocked application to the internet. It will give an error of 'connection not available'. 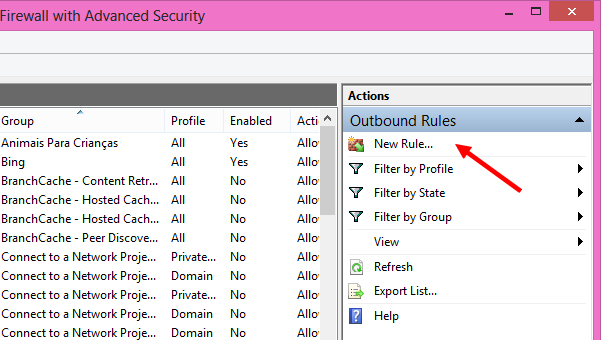 But if the target application is not listed in the list of 'Outbound Rules', you can manually add it to the list and then block the application. To add a new application, click on 'New Rule' option available on the right sidebar. Select 'Program' and click next. To add any new software application to block list, select 'This program path' and click on 'browse' button. Now locate the EXE file of that particular application you do not want to get connected to the internet. 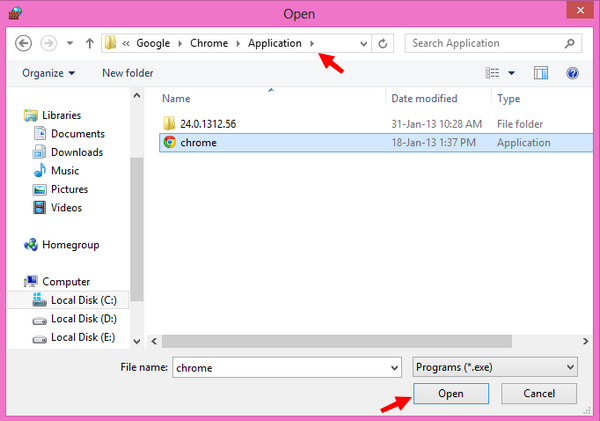 Suppose you want to block the Google Chrome from accessing internet. You can add it here. Just locate the EXE file of the Google Chrome. Select it and then click on next button. In the last step, select how you want to block it. If you select the last option 'Block the connection', the software will not able to connect to the internet at all. If you select the other options like 'Allow the connection', it will connect as normal and the second option 'Allow the connection if it is secure' will allow the application to connect to the internet only if it is using SSL protocol to connect to the internet. 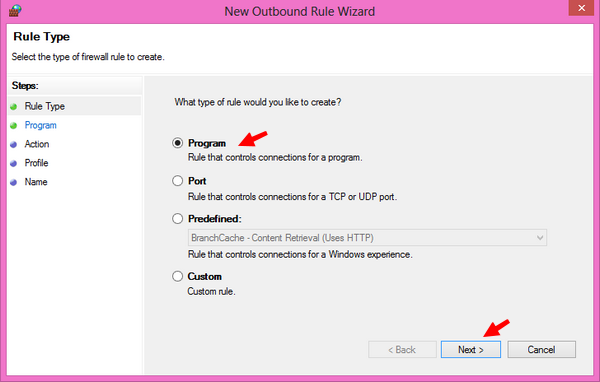 Select 'Block the connection' option and click next, give an appropriate name for the rule and complete the wizard. Now you are blocked the application from accessing internet. Why do you want to block the application from accessing your network? Is the tutorial working correctly? Please share.